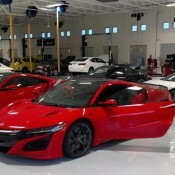 The work is almost done turning the new Acura NSX from a concept into a full-fledged production car. But the company is not going to release the car until some time next year. Until then we reckon they’ll be busy doing the sort of things you see in these pictures: drive the car around, test it in the real world, and maybe benchmark it agains the main rivals. Well, that is what we assume is going on here. These pictures show two red Acura NSX in full production trim somewhere in the U.S. in company of a Porsche 911 and later on in a garage with an Audi R8. It is interesting they didn’t feel the need to cover up the cars in any way of form. Then again, we’ve been looking at this car for the past three years. We know it inside out. The new Honda Acura NSX is handsome car, no doubt about it. 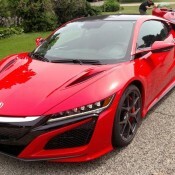 It is pitched by the manufacturer as a high-end hybrid sports car, but that hunkered-down, the swooping roofline, and the massive aero parts, they all scream supercar. If they don’t, the powertrain certainly does. 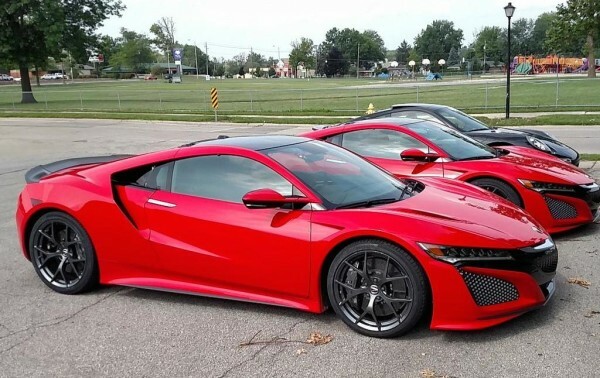 Speaking of the powertrain, it’s a hybrid system consisting of twin-turbocharged 75-degree DOHC V6 engine with a 9-speed dual clutch transmission (DCT) and three-electric motors all working in tandem with a Super Handling all-wheel-drive system. Final figures are yet to be revealed, but this bad boy’s going to be fast. 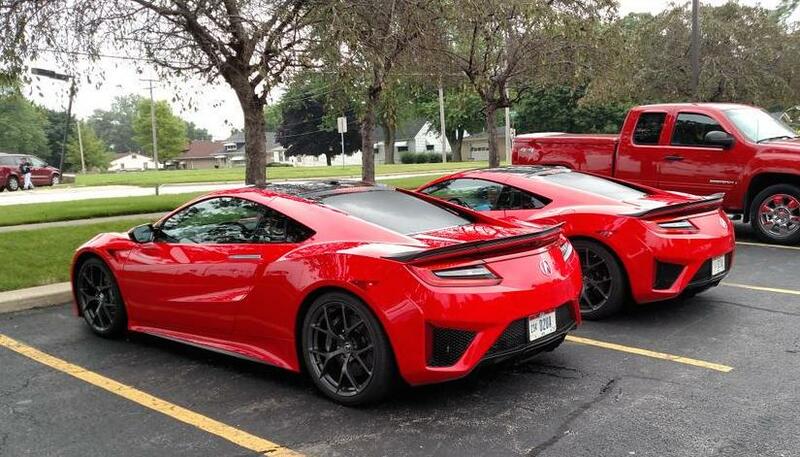 The post 2x Production Acura NSX Spotted in the Wild appeared first on Motorward.